You've happened upon this page perhaps because you are looking to buy or sell a home in Elmhurst, Illinois. Below are some tools to help you learn more about the Elmhurst area. Elmhurst hosts fun activities such as the Garden Walk, St. Patrick’s Day Parade, Art in the Park, the Pet Parade, Cool Cars Under the Stars, and more. Elmhurst City Centre offers urban boutiques, bowling, and movies. The 37-mile Illinois Prairie Path runs through Elmhurst and is the perfect place to take a walk, bike ride or run. Elmhurst also has great parks including Wilder Park which was voted Best Suburban Park by Chicago Magazine. 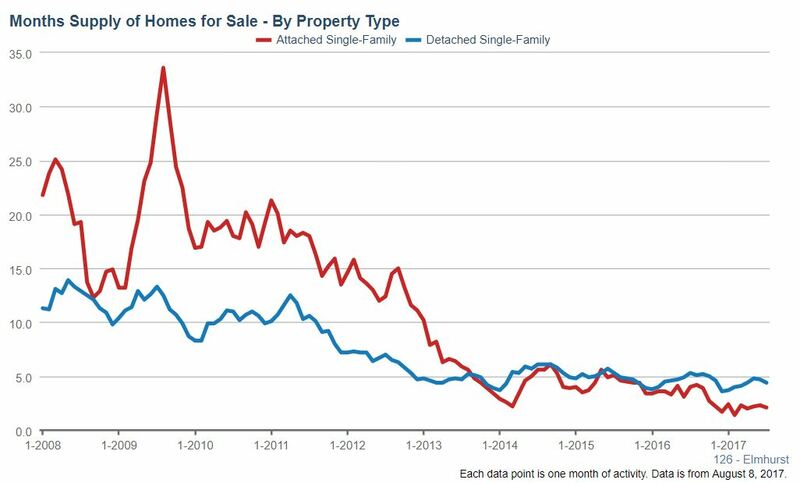 Single family home market times decreased in July. Homes were on the market for an average of 93 days compared to 113 days last year at the same time, a 17.7% decrease. The average time a condo/townhome stayed on the market decreased a stunning 81.3% with 17 days this July, compared to last year when it was 91 days. 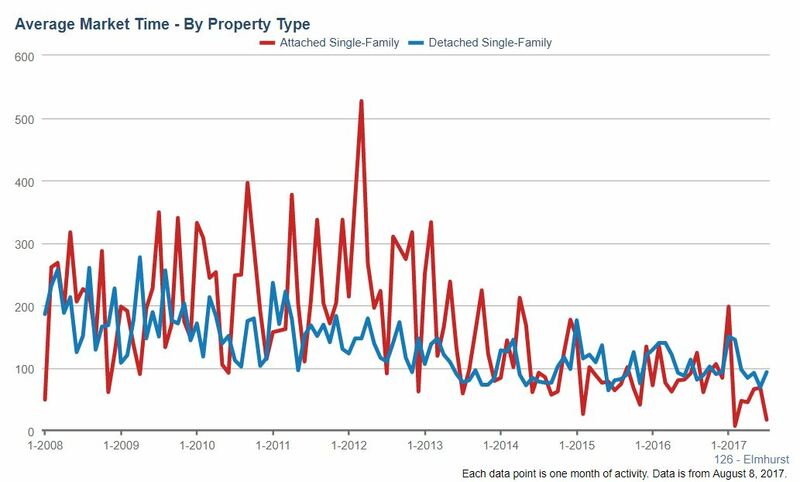 Single family homes inventories in Elmhurst had 4.4 months of supply at the end of July, a 17% decrease compared to last year at this time when the months supply was 5.3. The supply of condos and townhomes decreased more than 47% from 4 months last year to 2.1 months supply this year. These are extremely low inventory levels. Contact an Elmhurst Realtor by calling 630 359 4696. Looking for an Elmhurst Townhome? There are relatively small number of condo and townhomes available for sale in Elmhurst. Market Square Townhome complex contains 26 units and is located in the heart of Elmhurst near downtown at Addison and Second and offers a landscaped courtyard for quiet outdoor enjoyment. Elmhurst Schools are in District 205 which currently services more than 8,000 students in 13 different schools. Over 90% of the students live in the City of Elmhurst but students from portions of Addison, Bensenville and Oak Brook comprise the rest . The school district boundaries are not contiguous with City boundaries. At present, District 205 maintains thirteen schools. District 205 students consistently perform well above state averages on all standardized tests. The ACT average composite score is 23.5 in 2011. A very small fraction of students attend school in the Salt Creek and Willowbrook school districts. 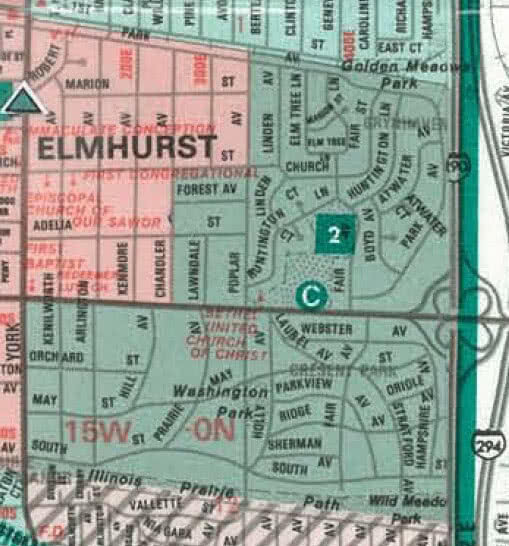 The official Elmhurst school boundary map. 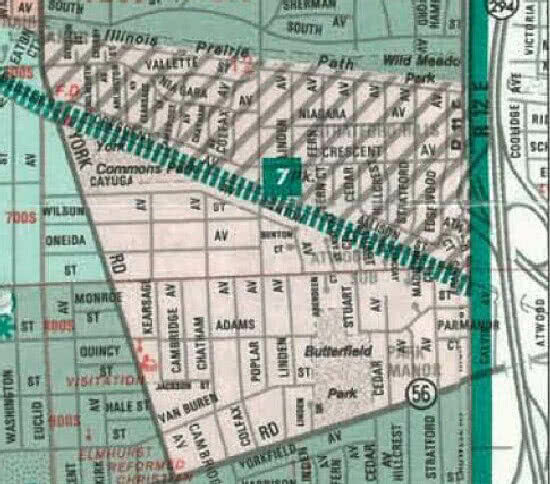 Children who live in homes in the green area go to Conrad Fischer in Elmhurst. 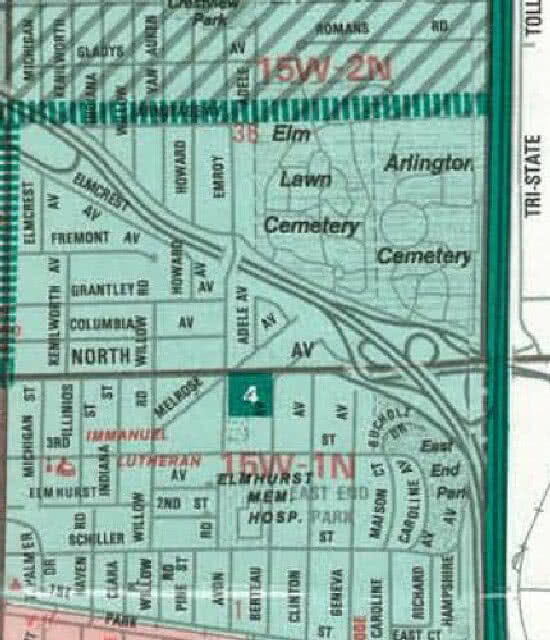 Children who live in homes in the darker green area on the map below go to Edison Elementary in Elmhurst. 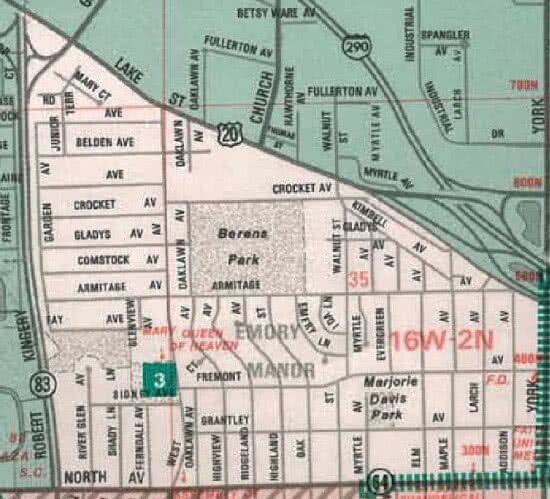 Children who live in homes in the peach area on the map below go to Emerson Elementary in Elmhurst. Children who live in homes in the green area go to Field Elementary in Elmhurst. Children who live in homes in the salmon colored area go to Hawthorne Elementary in Elmhurst. Children who live in homes in the green area go to Jackson in Elmhurst. 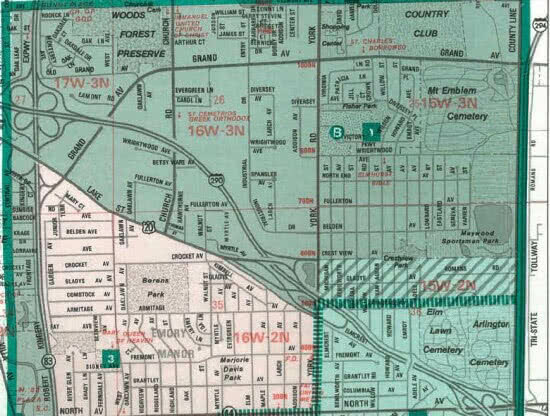 The area with the black diagonal lines indicate what is called a choice area where residents can choose the middle school. Children who live in homes in the peach area go to Jefferson in Elmhurst.